Hi lovelies! I thought I'd pop up a quick post about the freebie with the latest edition of Glamour! I picked this up at the weekend as inside is a Joy Card for The Body Shop, which is worth either £3.00, £15.00 or £100.00. All you have to do is take the card into your local store and they'll tell you what it's worth! 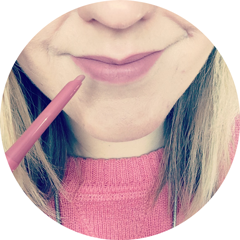 I haven't taken mine in yet, but I have my eye on The Body Shop Lightening Touch Pen after Evelyn from We Were Raised By Wolves mentioned it on her blog as a high street dupe for YSL Touche Eclat. Will you be picking up Glamour this month? Do you have your eye on anything from The Body Shop at the moment? I have that too must check if I can use it in Ireland! !